We’re making a list, checking it twice… A list of holiday marketing posts that is. 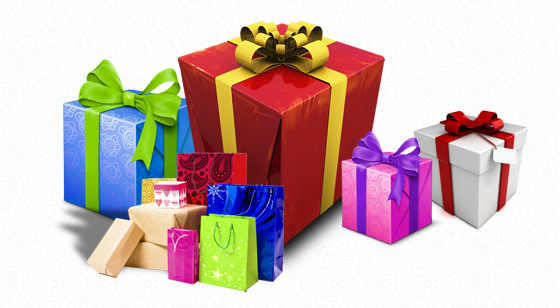 In the spirit of giving, we’ve wrapped up 30 posts to make you an expert in holiday marketing. But don’t delay, read them quickly and get your campaigns ready in advance because you know your competition already has theirs all ready to go, and you want to do a good lead up campaign to avoid any last minute rush (for all the men out there, you know what I’m talking about – tsk tsk). There is no doubt that online shopping is a huge deal. This post talks about some of the trends that cannot be ignored, touches on interaction with Facebook’s “want” botton and finishes up with some hearty holiday conversion tips. Constant Contact has really outdone themselves with the abundance of quality holiday marketing posts. This post specifically gives us great Email tips and then backs it up with stats. How can you argue with stats? This 48-page ebook is the motherload of holiday email marketing ebooks. Jackpot! The annual guide from Chad White and Responsys discusses the latest holiday trends, walks you through the 5 stages of the holiday season, and is based on the holiday email activity of more than 100 top U.S. online retailers. It is packed with tons of useful information and is in its 6th edition, which is a pretty clear indication that it been popular the previous 5 times. Highly recommended. Did you know that 75% of major retailers sent out one or more holiday promotional emails on Thanksgiving Day 2011, up from 60% in 2010 and 45% in 2009. Yep, that’s right, Christmas is coming to you earlier this year. Procrastination? I think not. The only way we can move forward, is to learn from the past. This infographic gives us a year in review and busts a handful of myths that will help you tackle your holiday emails. 5 top quality tips in regards to holiday email marketing. This tip in particular stuck me as very interesting: “Not all ecommerce merchants offer products that are suitable for gift giving or have products that otherwise sell during the holidays. If you fall into this category, don’t try to capitalize on the holidays.” What do you think? 9. Free 2012 Holiday Email Marketing Guide! This post is all about the smartphone. Are your email messages optimized for mobile? If not, get on it with this post. Shameless self promotion. If you haven’t already, read it. Do you have a special holiday deal for customers? Are your promotions focused? Have you updated everything to reflect your special deal? If you answered ‘no’ to any of the above questions, please continue on to the post. Side note: If I could rename this blog title, it would be: 4 Questions and answers for your Holiday Marketing Campaign. Here at Unbounce, we provide you with the freshest, most recent blog content on our Friday roundups. However, this one squeezed its way in here although it is one year old. This post is about awesome holiday campaigns, explaining what makes them so awesome. How awesome, right? Let’s break away from all the December holiday talk and focus on the holiday that is coming up in less than a week: Halloween. This campaign made it in the Guinness Book of World Records for the number of costume changes. 60 tips! Yes 60 tips for your social media holiday strategy, including tips for specific holidays including Halloween, Thanksgiving, Black Friday/Cyber Monday and Christmas. Let’s be honest, everyone loves a good sale whether its offline or online. Yet, it was surprising to discover only 8% of Facebook campaigns highlight money-saving deals when 34% of respondents purchased a product as a result of a promotion they saw on social media. This post covers everything and anything holiday marketing. And it has a long table of contents to prove it. Conversion optimization, Google Adwords, Social Media, Content, Re-marketing, Shipping & returns, customer support, etcetera, etcetera, etcetera. You name it, they’ve covered it. Why is it important to have a digital media strategy? This will give you things to think about when you are carving out your holiday strategy. This post is right. The holidays bring on the cheer. Your customers are more willing to spend if they are in a good mood. So plan great things to give them more to be happy about. Don’t give them a reason to turn into Uncle Scrooge. When it comes down to it, it’s all about preparation: “The sooner you start focusing on your holiday campaigns, the better chance you’ll have to be successful in converting customers and driving revenue in this crucial time of year.” Yep. I’m making a list, checking it twice. Well, actually, this post already gives you the checklist. Just make sure you are on the ‘nice’ one. Make it timely, easy, personal, engaging and shareable. For all the nitty, gritty detail as well as more examples see the post. “In a Google study last Q4 2011, 77% of shoppers said online research impacts which type of gift they buy.” Um, hello holiday SEO tips. Macy’s vs. Kohl’s. Walmart vs. Target. Trader Joe’s vs. Whole Foods. This post is a head-to-head battle between retail giants in the arena of SEO and paid search. Game on. 27. Holiday PPC Strategy & Prep in Just 7 Steps! Cover all your keyword bases with this preparation step-by-step checklist. Constant Contact at it again. This time with 6 trends. That means they are starting to shop now. So you better get on your online holiday campaigns asap if you haven’t already. Good thing you have 30 of the most recent resources within a click of your mouse, all categorized and summarized. Wider Funnel narrows in on two trends to watch for. Can you guess which ones they are? Do you have anymore must read holiday marketing posts? Please feel free to share any posts you think we may have missed in the comments section below!